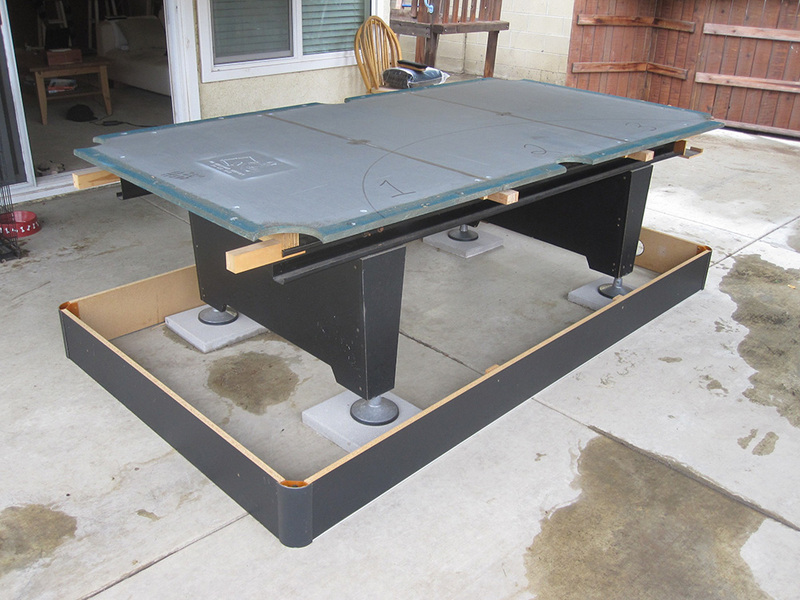 This billiard table I finished up in Cerritos, CA on Friday. We originally started this job about a month ago as an in-house move. Back yard patios can make great billiard rooms. 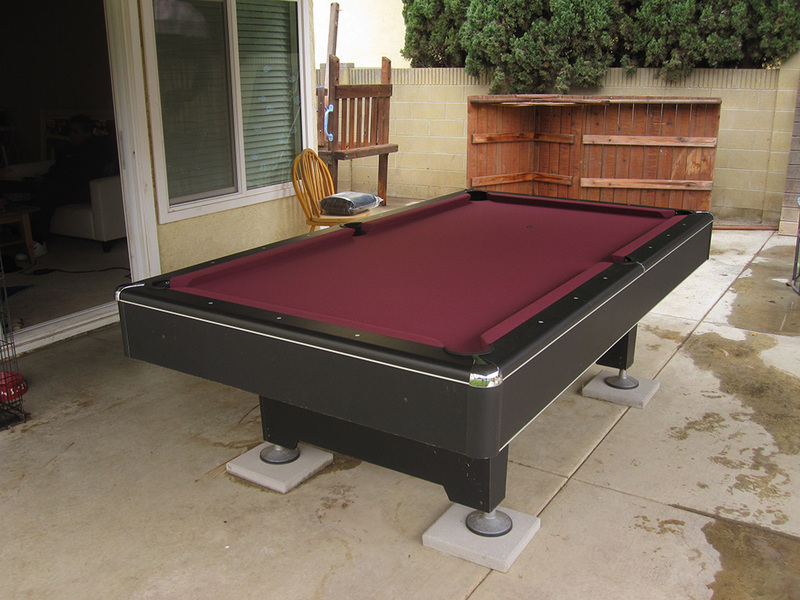 But a few years back, when my client first acquired this billiard table. 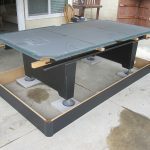 He and some of his family members moved this eight foot three piece slate table in one piece to get it inside the front room of his house. In the process they broke the pedestal legs and leg levelers. This time around however, he chose to hire us to move the table outside to the patio. On Friday I went back to the home to finish what we had started a month earlier. I brought back with me a newly re-cushioned set of rails. The client chose to go with Mali 10820-f, Wine billiard cloth. We had already fixed the broken legs and moved the table outside. 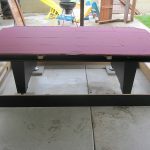 All that needed to be done was to level and re-seal the slate seams, then install the wine bed cloth. After this was done I started installing the rails, blind aprons and drop pockets. 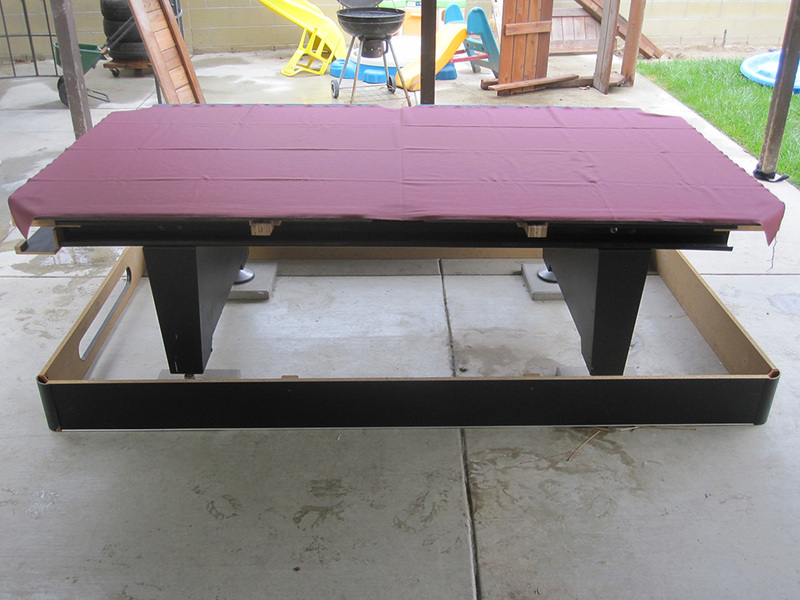 Then viola, this black backyard billiard table was complete. Getting a used Brunswick Allenton and only have space outside (roofed, flagstone patio, very little chance of it getting wet from rain). We live in a *very* dry climate but have hot summers and cold winters. Am I going to ‘ruin’ the table as some people say? That would be suitable for your pool table. I’d also recommend investing in a heavy duty fitted cover to keep all the dust from getting into the felt. Thanks for your comment.